I have a confession to make: I never watched Sailor Moon as a kid. I tried to. I really did. But I was busy with extracurriculars and the show aired so early in Cartoon Network’s Toonami block (the original one) that I always missed it. I caught a couple episodes here and there, but I couldn’t get a handle on the story, and it had so obviously been edited to hell (Seventh Grade Me: “Man, those cousins are super incesty”) that I eventually threw up my hands and decided I’d just catch it subtitled. But this was 2001, I was thirteen, and a subtitled anime VHS was rarer than a unicorn and more expensive than a Playstation game. 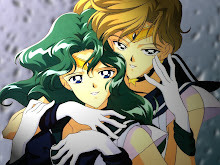 Time passed, fandoms came and went, and it seemed the Sailor ship had sailed and I’d missed it for good. Which was a damn shame, really. Whether you love it or not, there’s no denying that SM is a huge part of anime history and had a major role in widening the anime viewership in the U.S. Ask an early millennial anime fan to name their Gateway Anime sometime. They’re almost certain to mention Dragonball Z, Pokemon, or Sailor Moon. My point being, this show was A Big Damn Deal, and I’ve seen almost none of it. But no more! NO MORE! 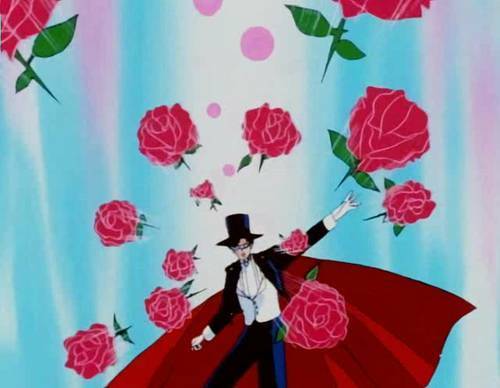 Thanks to Viz, who’s re-releasing the entire series uncut and streaming on Hulu, I will finally be able to look the world in the eye and say that, yes, I know how to defeat evil with a Tiara and where to find the Legendary Silver Crystal and why Tuxedo Mask and Usagi are OTP 5EVA. I’m going to blog about it. I started watching the stream online, and next week I’ll begin my anime blogging career by providing “Newbie” reviews of the original Sailor Moon. That’s right. 200 sparkling episodes of crime-fighting schoolgirls, in all their uncut, rose-filled glory. The longer I look at this image, the less sense it makes. This can only end in tears. But hey. In the world of Sailor Moon, that just might be a good thing.